Ok so here is our story... Five weeks ago the ANTI-SKID SERVICE REQUIRED light comes on. OK thought, no big deal, I'll get it checked the next time we take it on for service. 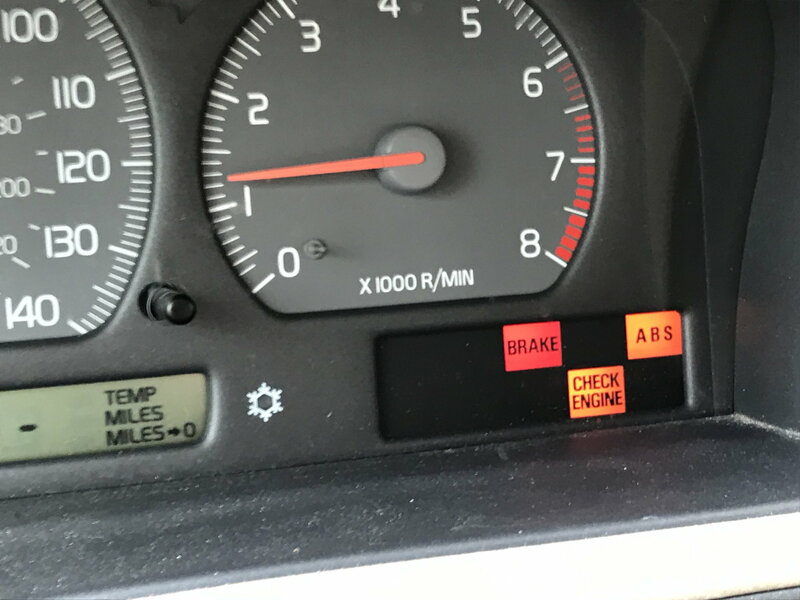 Well, it doesn't come back on, it only seems to come on when Ms. Drewmun is driving it,then she says that it feels like the traction control is engaging for no reason. OK I think, let's take it to our mechanic and see what he has to say, he runs the computer checky thingy and it gives us some options... He checks them out and says we may need a new ABS module, but to take it to the STEALership and see if they will reload some (?) software. Well on the way home (a two plus hour trip) it is fine, we park it in the garage and the next day (with me behind the wheel) the speedo only goes up to 20 MPH for a bit, then works. Ten minutes or so later(after a pitstop) the brakes don't work, they kind of pulse. Not like regular ABS, just not stopping then HARD braking... So I say "uh oh I'm taking this straight home" it does the traction control thing. I have been out of town for a week and it is sitting in the driveway. 2002 140k miles, bought second hand a year ago... WTF!!! Should I still have the software downloaded or just get the ABS module done? I have read other places on this forum that the modules for this are $$$. Jan 31 I cleaned the connector to the abs unit and had no problem for 4 days and now the problem is back again... 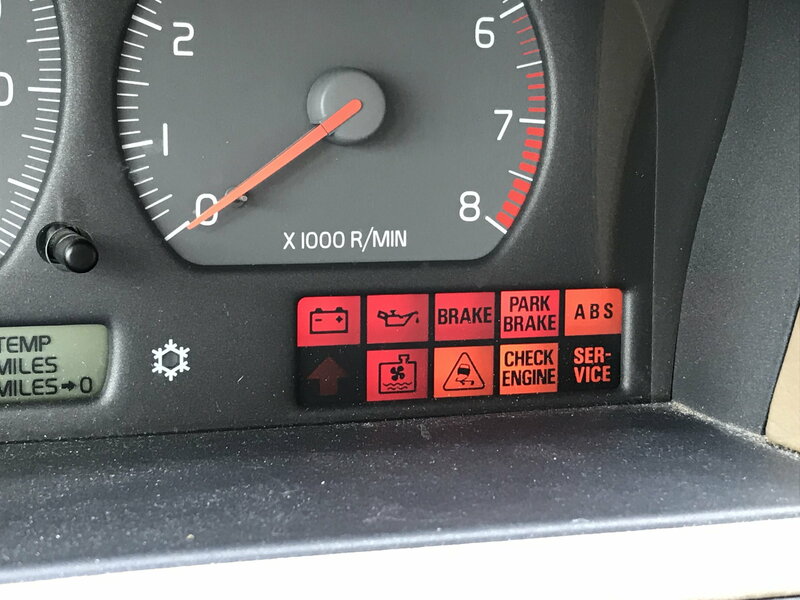 I am wondering if it is my abs unit or the controls for it... the traction light is now coming on in addition to the other lights... then clears up a few minutes later??? Jan 27 Error codes 1633, 1618, 0722, no speedometer (-----), no tripometer (-----), abs light, check engine light, brake light, and sometimes a flashing upshift that occasionally results in reduced power mode on the transmission.... and then it all goes away and runs fine for day/hours/minutes? I reset the codes and all is well for a while. The one code that appears alone... at first... is the 1633. While driving the speedometer just drops out resulting in the above symptoms. Then, magically it all starts working fine again. This behavior was once every two to three months, now daily. I replace the transmission speed sensor yet didn't change a thing. Occasionally, where the dash displays the outside temp etc, I read the word "d i s c"... is there a hard drive in this car? Thanks for the help! Whats the deal with steering angle sensor? Where is it located and how hard to replace. Our 2004 xc70 just came up with anti-skid service required msg. After reading about this issue here and on other forums i think that angle sensor might be our problem. We first had flickering traction control light, funky steering (especialy at low speeds) and some funky noise that might be driveshaft. I first thought that it was rear wheel bearing but after reading more about this abs anti skid issue i see that it all might be connected. Where do i start? How to check this steering angle sensor? What about yaw sensor? I drive a 2002 XC70 T AWD and I had my gearbox replaced. When the car came back I noticed the Anti Skid Service Required alert was on. I seem to have lost AWD and rather had the power only at the front. I also seem to have lost traction as the car does not feel stable when going over a bump on the road. Any connection to the steering angle sensor caliberation or the hex bolt on the front wheels which are covered by the Volvo Centre cap? 2005 Volvo V70 T5- "Anti-Skid Service Required" & "Rear Park Assist"
Brought into the dealer today. Was told $726.00 would fix the problem, along with the "Rear Park Assist Service Required" for an additional $399.00. The Anti-Skid threw a code for the replacement of the "angle sensor," which apparently must be programmed by Volvo software. My mechanic, who I trust, feared this would be the case and after some research he confirmed it. I felt it a bit expensive considering its a sensor, but I was able to negotiate for around $900.00 to fix both. Didn't want to wait any longer as I just purchased the car and replaced the timing belt (negotiated during purchase) only 48 hours ago. The Rear Park Assist was reported to be heavily corroded. Currently not sure what the fix is here, but I will update later if I get a better understanding of what they are replacing/fixing. -I have done some other research in which members are reporting that the clogging of the sun roof "drainage" lines can cause internal water damage/flooding. My dealer had no knowledge or rumor of this being the case. That is a reasonable description of my intermittent warning light issues. I bought a 2000 V70 with 105K miles about 12 months ago - clearly well maintained (a must!) with a new ETM and timing belt recently installed and good tires. I replaced the upstream and downstream oxygen sensors and the Check Engine Light went out after about 20 minutes. After checking fluids and such, I then drove it 1200 miles to Texas. When I got within 20 miles of home, the ABS light came on. But it went off before I arrived home and everything was fine for several months. Then the ABS light started coming on and going off occasionally - enough to trigger the check engine light sometimes. But the car ran fine and the check engine light would go out after a short period of time. I wasn't too concerned until the frequency of the ABS light issue increased and *other* warning lights started going on and off - Brake, Stability/Traction Control, etc. Sometimes the lights will reset, or partially reset, if you turn off the wagon, then restart. On a couple of occasions, the wagon refused to restart for a while. Certain combinations of warning lights prevent cruise control from working. Others affect transmission function - on several occasions the wagon did not downshift when slowing to a stop, causing the engine to lug and threaten a stall. On other occasions, the transmission stayed in a high gear when I attempted to pull away from a stop sign or stop light. During this process, the blinking arrow (transmission) to the left side of the warning light display started going on and off. Now it is on all of the time - has not gone off in weeks. After four decades working on various makes and models, I consider myself to be a pretty solid mechanic, at least as far as hardware and basic electrical issues are concerned. I seldom take a vehicle to the shop. But this is clearly electrical, not hardware and I have no experience with Volvos. My normal step of checking ODB-II codes) at AutoZone or another auto parts vendor appears to be useless - they don't understand Volvos and the code descriptions are useless. Volvos appear to have multiple electronic modules that can interact in interesting ways, and I have a lot to learn. I would like to return this vehicle to perfect working order and drive it for many years, but I am not going to plow thousands into it chasing crazy electrical problems. Any guidance would be appreciated. 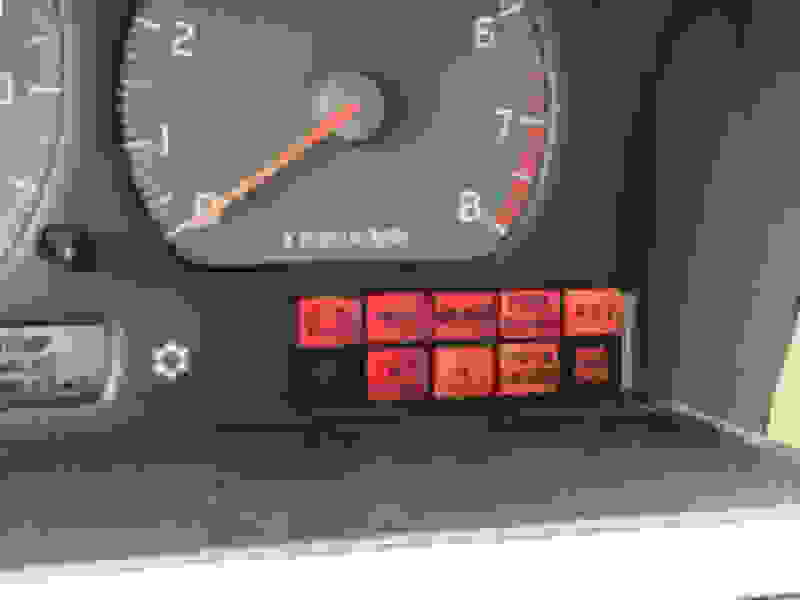 Dash lights with key on, but before starting 2000 V70 wagon. Note that the arrow in the lower left corner is blinking. Dash lights after starting 2000 V70 wagon. Note that the arrow in the lower left corner is blinking (but did not catch it in the photo). two typical problem areas - 1) you could have a wheel speed sensor acting up (any recent brake or suspension work? are the axle boots in tact and not throwing grease? You need a full featured OBD2 scanner to read the ABS codes - not all will read them 2) this generation Volvo are also known to have issues with the ABS controller board, which can develop cracks in the solder leading to intermittant faults and ABS/TRACS warning lights. there are a few shops who rebuild the boards for about $250 - google Midwest ABS or Rocha-Tek to read up and see if any of your symptoms match. The intermittent symptoms appear to match the cracked solder joint issue on the ABS controller board. I will remove it this weekend. Thanks for the forum support!